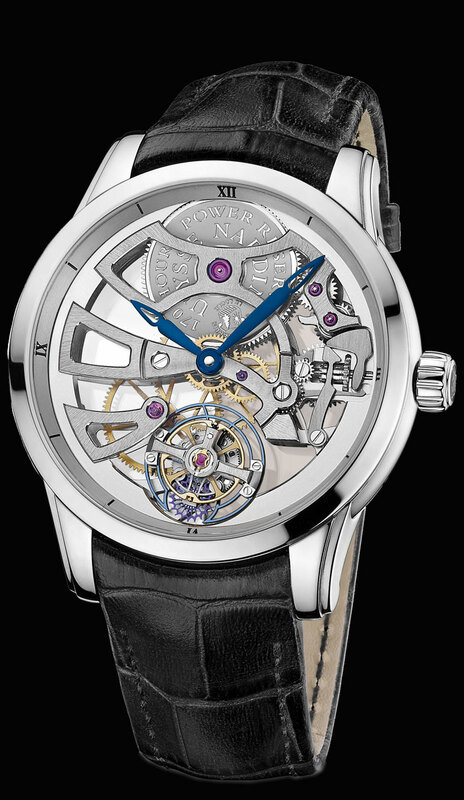 It is a 44mm Flying Tourbillon, platinum case, with a complete see through front and back sapphire crystal. It features an all in house Ulysse Nardin Flying Tourbillon movement with an impressive, twin barrel, 7 day power reserve manual wind movement. It is available on a elegant crocodile leather strap, with platinum folding buckle.